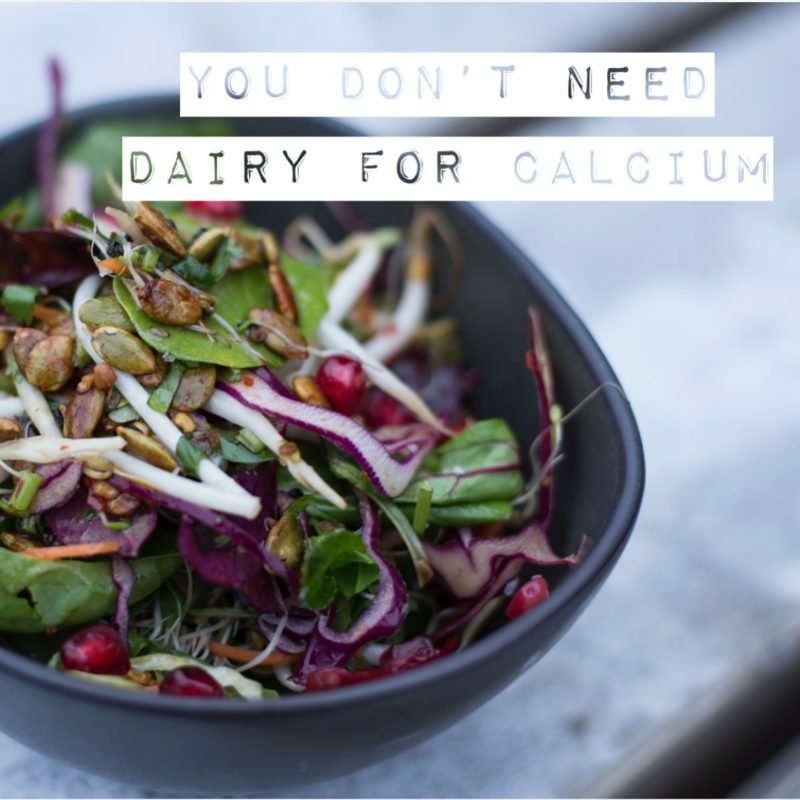 You don’t need dairy to get your Calcium! Getting your calcium from foods is important, as calcium supplements are controversial and can be dangerous. Many assume that dairy is the one and only place to be getting calcium, but this is not true! If this was the case our ancestors would not have survived. Dairy is not always the number one choice as it is inflammatory to many and can be a contributor to many digestive, hormonal and auto-immune disorders. 1.Dark leafy greens like Collards, Kale, Bok choy, and Turnip greens are at the top of the leafy list. Many refer to Spinach as being a calcium contributor, however it is hard to absorb from spinach so it is not actually your best choice. 2. Fish with bones: Salmon patties from wild canned salmon was a childhood favorite of mine! You can also try anchovies and sardines. 3. Bone broth: Bone broth is rich with minerals. Be sure to get top quality bones so you are pulling out beneficial minerals and nutrients and not toxins. 4. Sesame Seeds: Tahini is one of my favorite additions to salad dressings! Not only is it rich in flavor but rich in calcium and minerals. Get adventurous and try black tahini or sprinkle seeds onto your next dish. 5. Veggies like artichokes, broccoli and fennel are also a source of calcium. Try this fennel salad for a delicious new take on the veggie. 7. Hemp Milk is a great non-dairy choice to fill your cup. Rich in flavor, protein and calcium! 8. Non-dairy yogurts: Although many of these yogurts are fortified with calcium and do not come naturally with it, they can be a great addition to your diet. Be sure to look at the nutritional label and find yogurts that are low in sugar and high in nutrients! Coconut yogurts are my favorite choice as they are naturally high in many vitamins and minerals. Remember that Vitamin D, Vitamin K and Magnesium are just as (if not more) important for healthy bones and body! Eat a varied diet in whole, real foods and you will provide your body with all of these important minerals.